One of my favorite parts of house hunting is exploring different types of neighborhoods. Our family tends to seek out homes located on a cul-de-sac. When the end of a street wraps into a circle, it can be a gathering place of friendship and fun. There might be a fold-out table staffed by young entrepreneurs selling refreshing lemonade. Perhaps parents are chatting while watching their mini speedsters on bicycles and scooters. Maybe a grandmother shakes her apron at a curious rabbit in her manicured flowerbeds. Pleasing moments such as these may occur when touring the appealing Georgia neighborhood of this MilitaryByOwner cul-de-sac property. Tucked around 10 miles from Robins Air Force Base, this 4-bedroom, 2-bathroom cul-de-sac home is on a quiet street lined with flowering trees and lush landscaping. 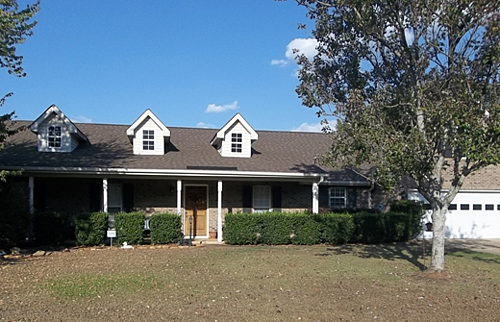 Just a short drive to top-notch schools, baseball fields, and a local soccer complex, this conveniently located property could be the perfect fit for an active military family. With an expansive fenced yard, multiple patio areas, and 2,000 square feet of indoor living space, there’s plenty of room for family and friends to gather. One step inside the front door, sun-filled windows draw your eyes upward to the sky-high ceilings. “Y’all come in," said with gracious Southern hospitality. Linger by the hearth of the classic brick fireplace. Wander through the living and dining spaces towards the open concept kitchen. The warm-toned wood floors, custom maple cabinetry, and shimmering granite counters are samples of the prime upgrades throughout the home. When touring the loft space and bedrooms, take a peek at the master suite. 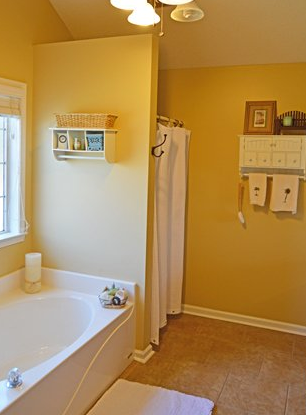 It includes a lavish bath featuring a soaking tub and shower, easy care tile, and adjacent walk-in closet. As you may have noticed, the sun pleasantly shines in the "Peach State," and this sun-drenched space seems to capture its charm. 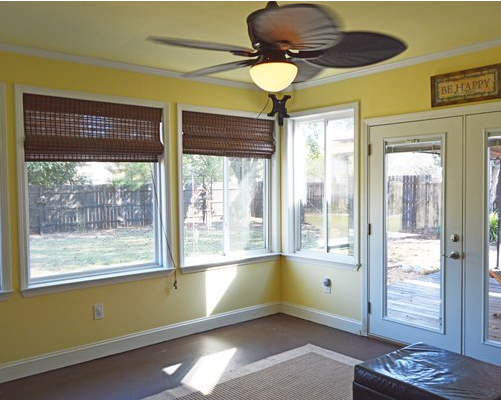 Cheery tones of yellow accent grand windows for gazing out at the generous back yard. 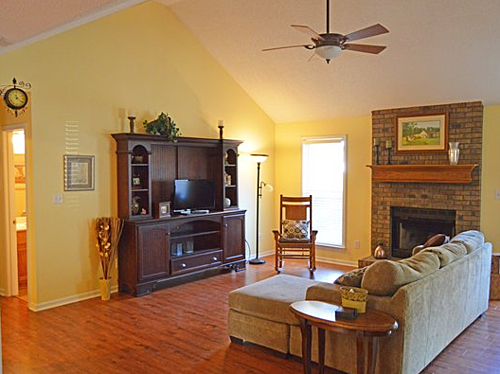 This bonus room offers plenty of potential and happily welcomes natural light. 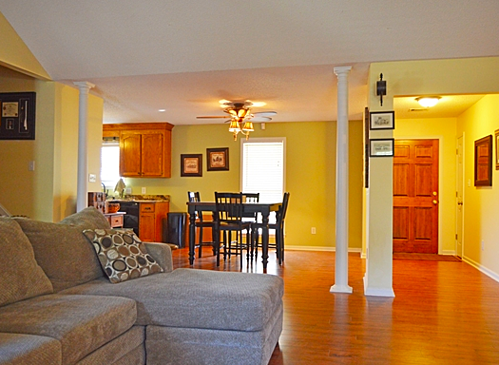 After a long day with your busy schedule, relax out front on the idyllic covered porch. 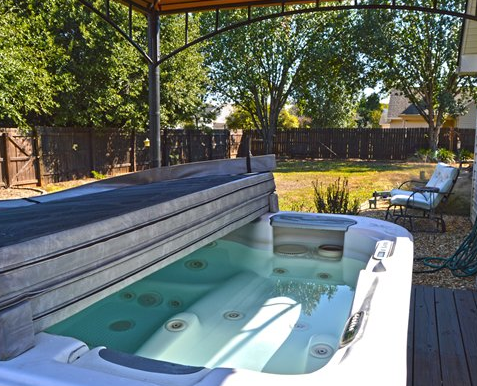 Or, go around back and float your cares away in the bubbles of the indulgent hot tub. Pour yourself a cold drink. Make yourself at home. 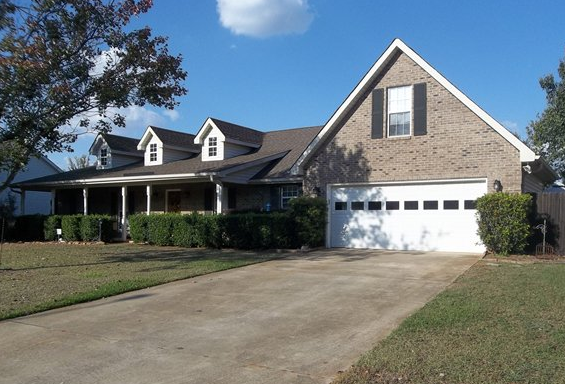 Embrace the easy-going Southern lifestyle in this gem of a Georgia property. If you're specifically looking for a home located on a cul-de-sac, the stellar search engine on MilitaryByOwner.com makes your house hunt oh-so-convenient. After choosing a state and military installation, a list of properties appears. Under the “Advanced Search” tab on the left of the web page, look for a “Search Filters” tab. One click on that yellow tab and a drop-down menu should open. By choosing the “Special Features” parameter of that menu, the search engine filters the properties for you. The filter may define listings on a corner lot, by a golf course, or on a cul-de-sac. For further guidance when narrowing down your home search, feel free to contact our Customer Service team at 866-604-9126 or click the chat link for live online support.